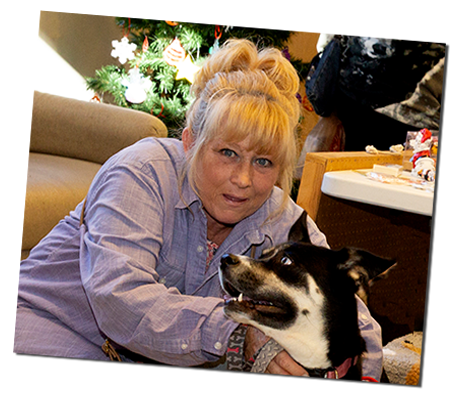 ​The Friends of Charlie's Place organization was established in 2006 as a non-profit with the focused goal of helping the animals at Charlie’s Place, and to offer assistance, when we can, to the companion animals and their owners within our community. Our board meets on a quarterly basis to plan fundraising events, plan our participation in community events, and coordinate adoption events...as well as other projects that help Charlie's Place. Our quarterly FOCP Board meetings are open to everyone and volunteers are encouraged to attend. As always, meeting minutes are available to all interested persons. Contact us to find out the time, date and location of our next meeting. The number of years you've been involved with animal rescue, animal care, etc. 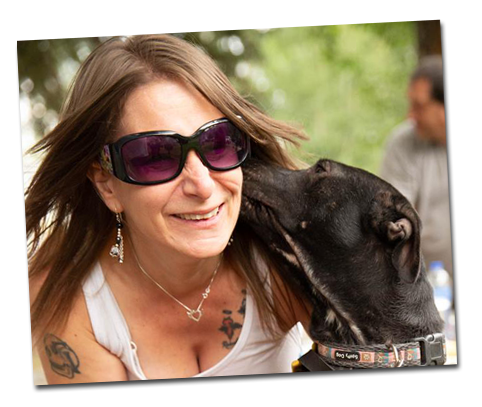 : I've worked​​ ​with numerous animal-related organizations in the past 34 years including: Hope for Animals, Freedom Service Dogs, GWP Rescue and several rescues in Southern California. My wirehair, Buddy, was a service dog at Littleton Adventist Hospital. One of the founders of Friends of Charlies Place. Why do I want to be on the board: Charlie's Place is a wonderful animal shelter.​ Their small, caring staff work hard to make sure that the animals are comfortable, stimulated, loved and eventually placed into permanent homes. Charlie's Place has never had to refuse ANY animal medical assistance, due to the work that FOCP does. I want to do what I can to keep Charlie's Place functioning as the amazing place that the land donor, Helen Buck, dreamed of (in honor of her dog "Charlie"). Animal family: Two Dogs .. Boxers Chuck & Dixie. ​I have volunteered for Charlies Place for the last two years. Participated in numerous fund raisers for Charlies Place. As a 38 year resident of Clear Creek County if I do not know residents here, I am related to them by marriage! Why you want to be on the board: I have a great love of animals and feel I can make an impact in finding loving homes for as many as possible. I am willing to go that extra mile to do so! including adopting two from Charlies Place. Human family: Husband Dean, two children, Rebecca and Christopher and two granddaughters, Moki and Rosie. Animal family: After the loss of our precious Koda, Emma Lee and Prinni all within the past year, our home and hearts are full again with our new precious babies Daisy, Duke and Martina (all Charlies Place Alum). The number of years you've been involved with animal rescue, animal care etc. : I have volunteered to help with Events at Charlies Place for 1 1/2 years. This is my first involvement with animal rescue/care. Why you want to be on the board: I have a strong financial background that I feel will be beneficial to this organization. Since retiring I now have time to actually help the animals I love so much. I am honored to be on this board, and so excited to have the opportunity to work with this amazing team of animal lovers. ​Human family: Live with husband Marc Reagon, two adult children Meagan & Robert, who also help support FOCP with fundraisers and events. Animal family: Three doggies Katie, Bella & Roscoe and one kittie Mr. Julius aka Littles. ​I have volunteers for the Cat Care Society back in the early 1990s with taking cats to assisted living facilities. I have been involved with FOCP since 2009, and on the Board since 2010 in many capacities. I am the co-creator of the Clear Creek Animal Response Team (CCART) and currently serve on its Board as the Secretary/Volunteer Coordinator and work closely with Gilpin County Animal Response Team (GCART). I volunteered for the Clear Creek County Advocates working with victims of crime of five years. Why you want to be on the board: My passion is with animals in hopes to help all companion animals find their forever home. I believe in helping them as they are unable to help themselves. Working together we can make a difference. Why you want to be on the board: One more voice for the animals, encourage participation in Gilpin county. Then number of years you've been involved with animal rescue, animal care, etc. : My husband and I have volunteered at Charlie's Place since January 2013. I began by taking photos of the individual dogs and cats so they could be promoted on our website and social media. 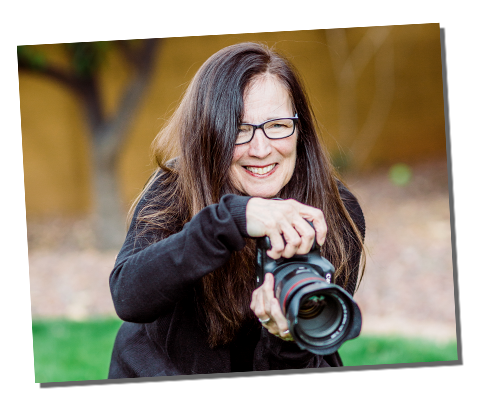 I created the Charlie's Place Monthly Chat in November 2013 and began working on the FOCP Annual Newsletter. Why you want to be on the board: Taking photos of animals is my passion. Photos are so important for shelter animals to be seen. According to statistics, a great photo can help a shelter pet find a home up to 60% faster. It's wonderful to be a contributor in helping that happen and a part of an awesome shelter and great group of animal lovers.